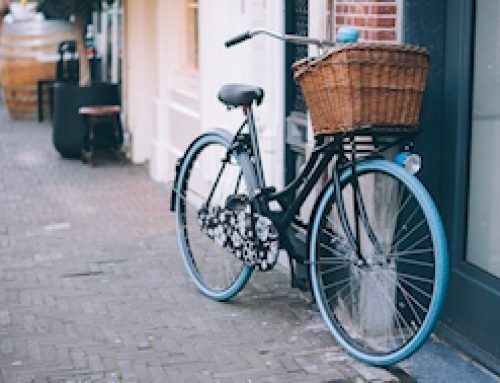 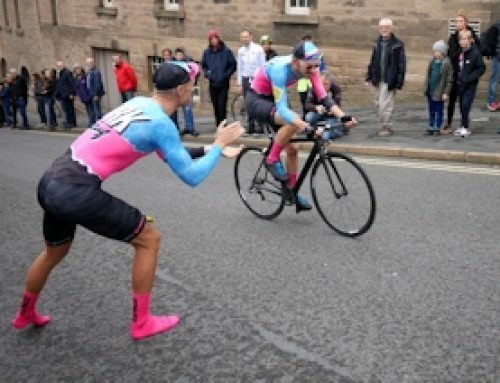 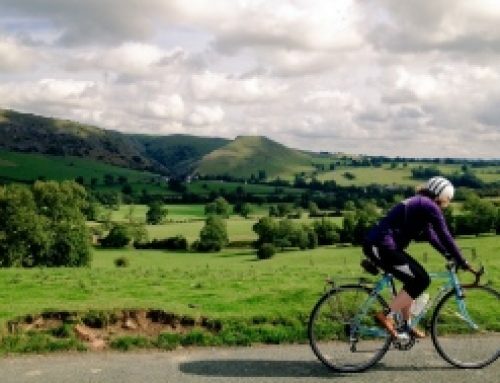 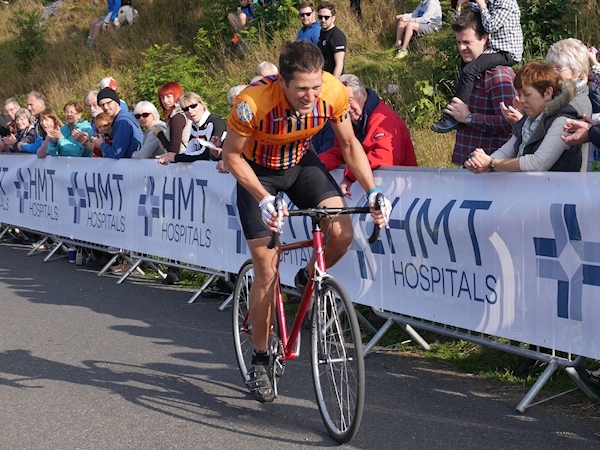 From ages 8 to 78, from lightweight 5.5KG speed machine, to Penny Farthing, the 85th Monsal Climb was made up of a eclectic mixture of cyclists tacking the 675 yard hill climb in the heart of the Peak District. 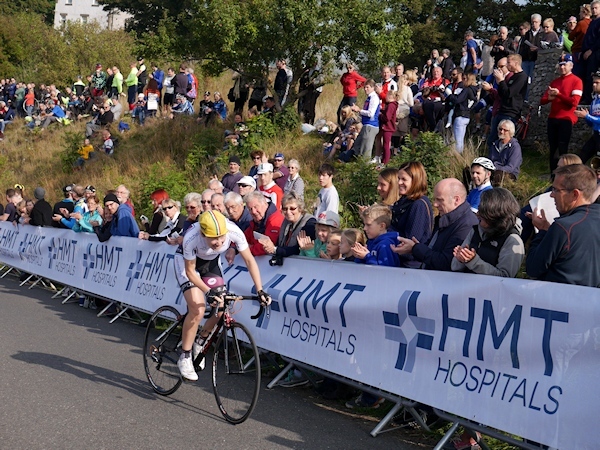 Spectators watching the event, held on Sunday the 4th October, could be forgiven for thinking it was the middle of Summer and not Autumn, with warm sunshine and light winds giving great conditions for the race. 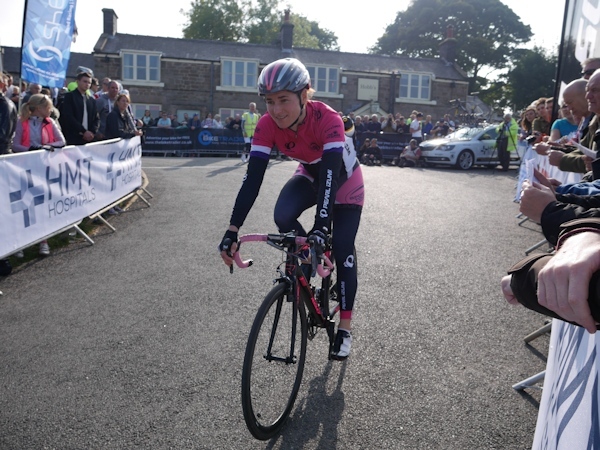 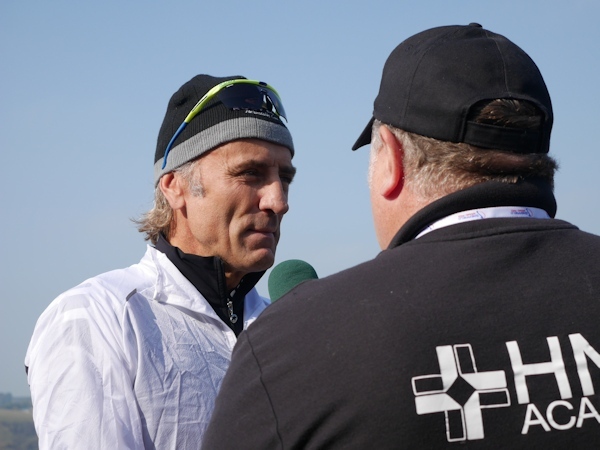 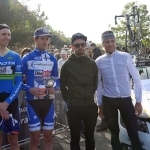 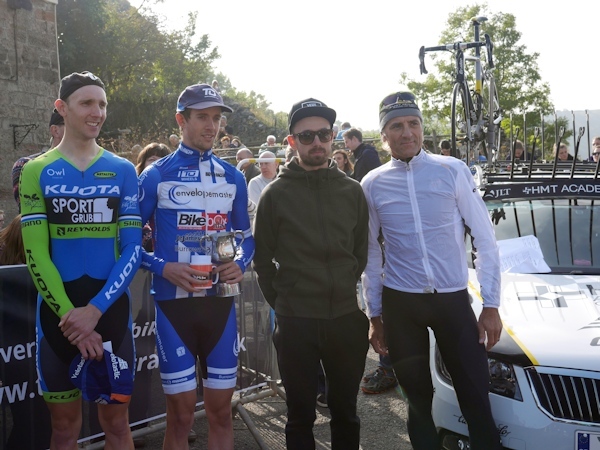 Once again the event attracted some big names, including Dame Sarah Storey, Jessie Walker, Russell Downing, Jack Pullar and former Tour de France rider Adrian Timmis, with course record holder Malcolm Elliott handing out the prizes at the end of the event. 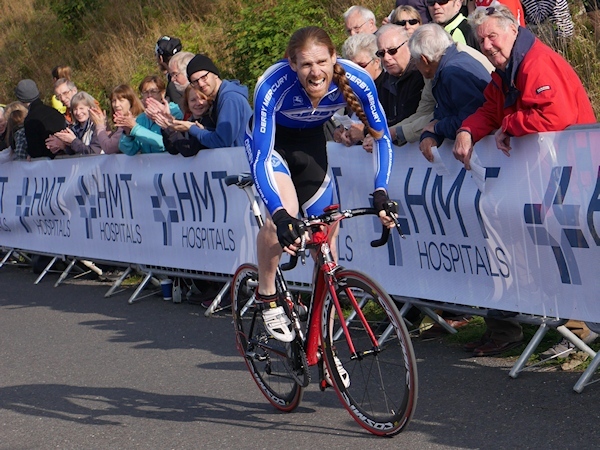 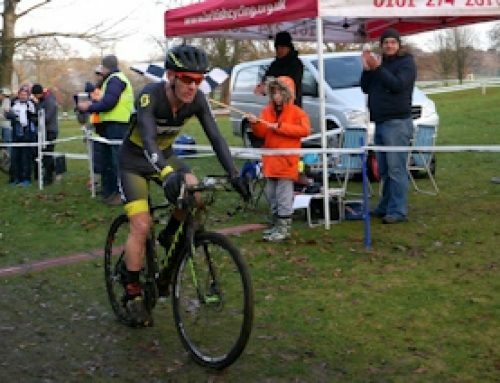 The Men’s race was won by Joe Clark of Team Bikebox/Envelopemaster, with a time of 01:20.1. 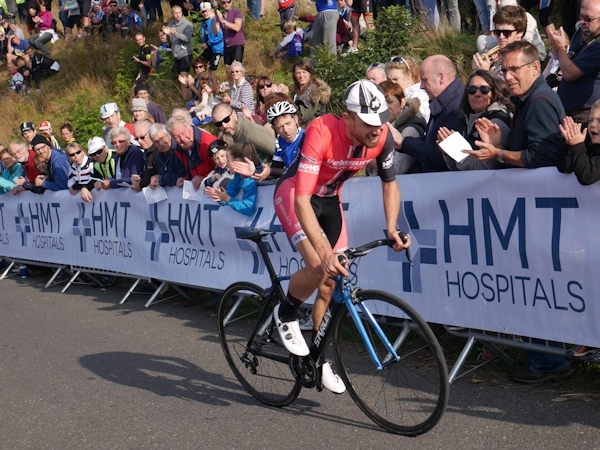 Adam Kenway, just 0.2 seconds behind took second, and Jack Pullar in third. 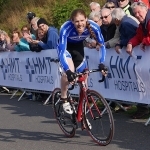 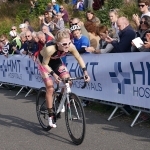 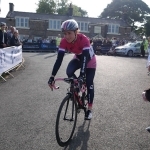 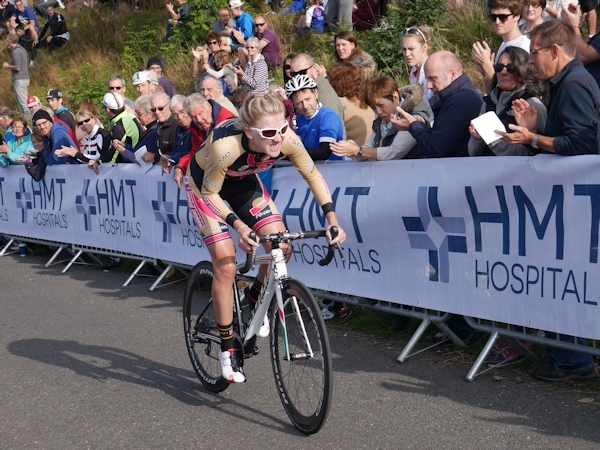 Lou Bates (Carnac) won the Women’s race with a time of 01:55.1, with Jessie Walker in second, just a week after supporting Lizzie Armitstead to victory in the UCI World Championships. 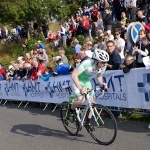 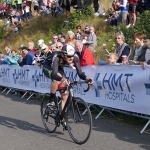 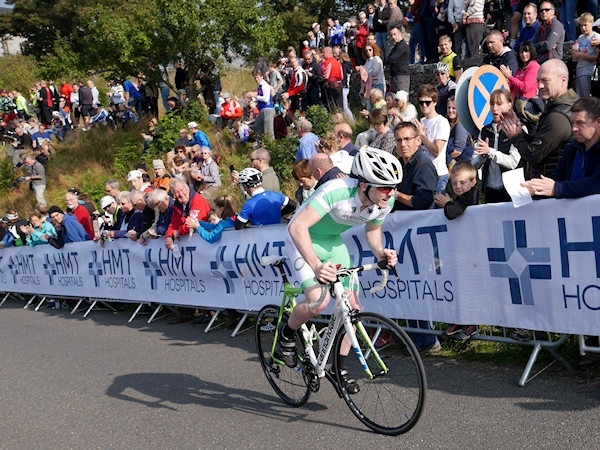 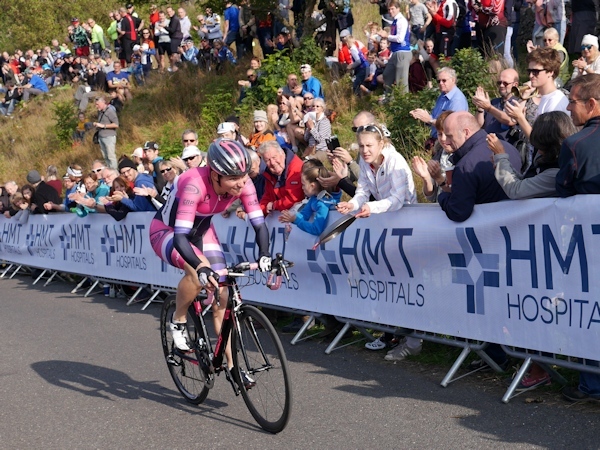 Dame Sarah Storey took third place with a time of 01:59.1. 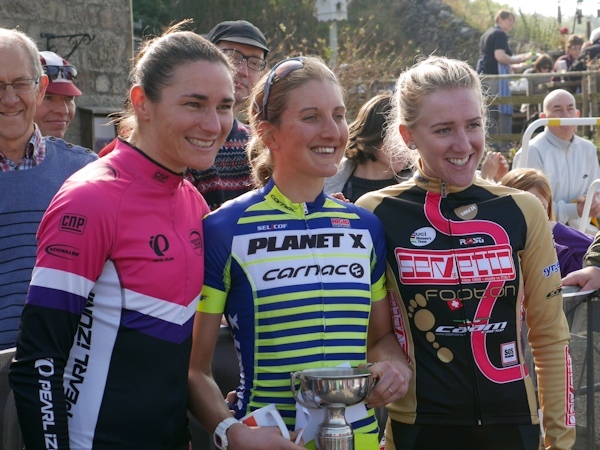 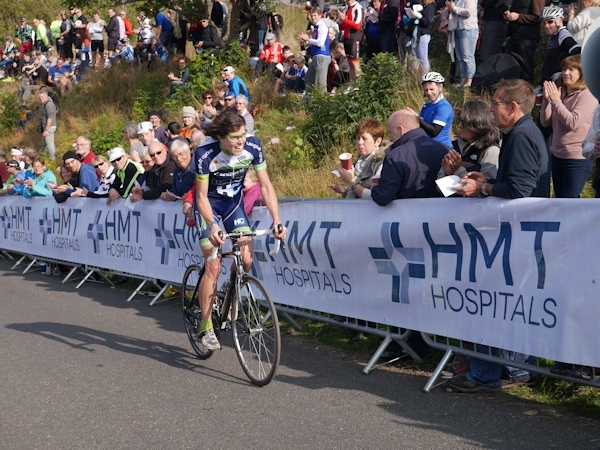 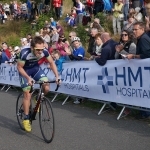 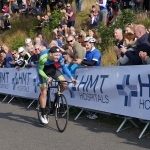 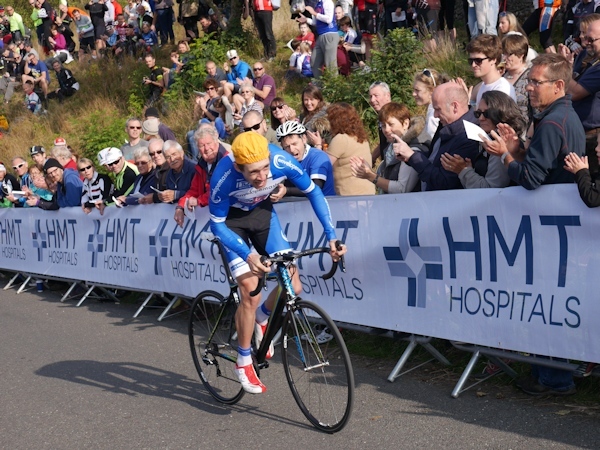 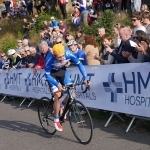 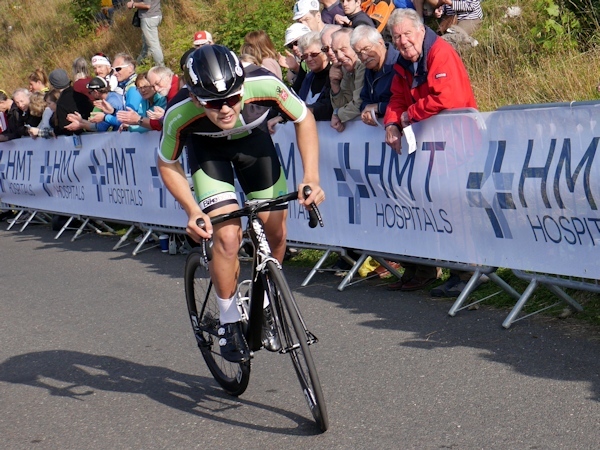 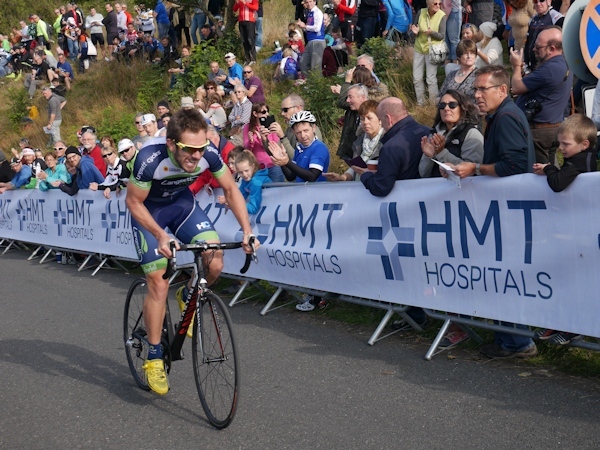 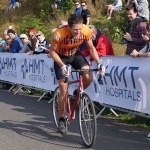 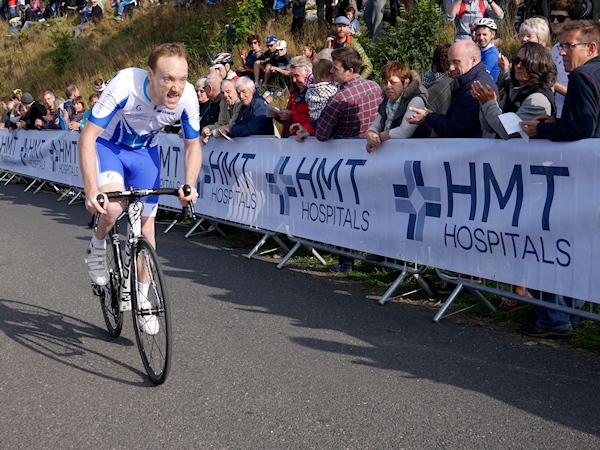 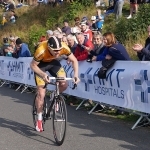 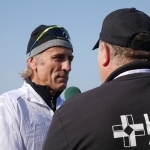 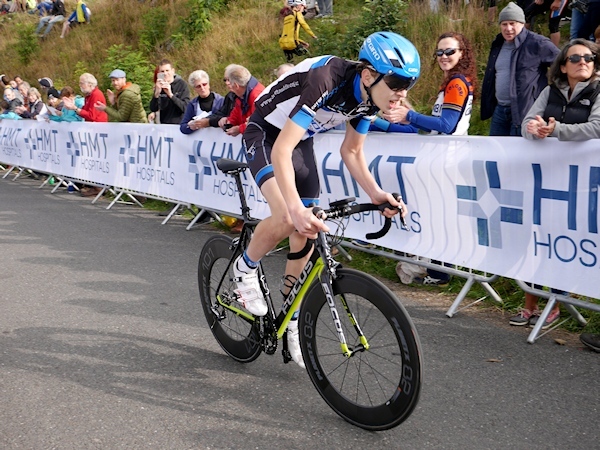 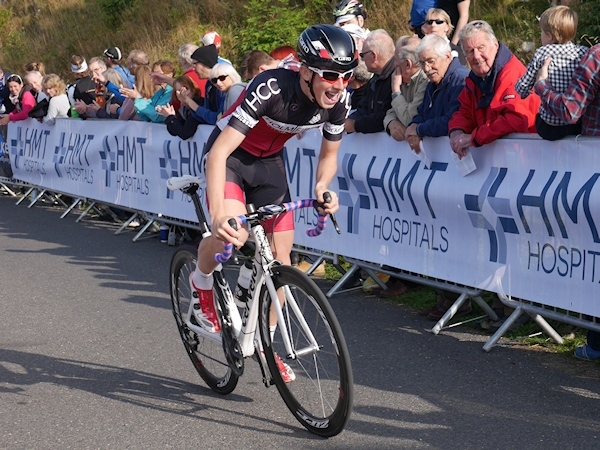 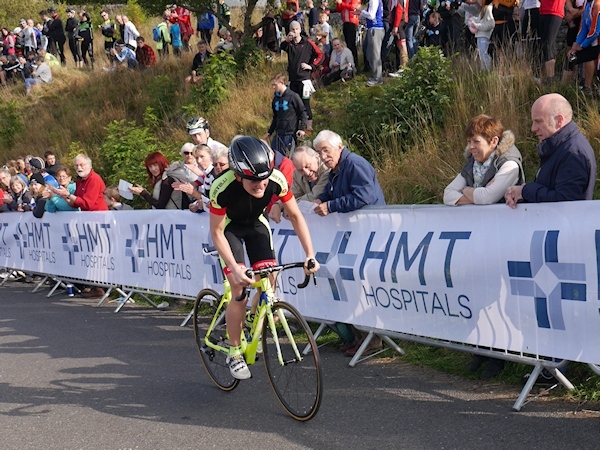 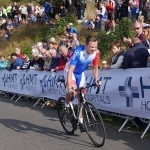 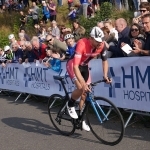 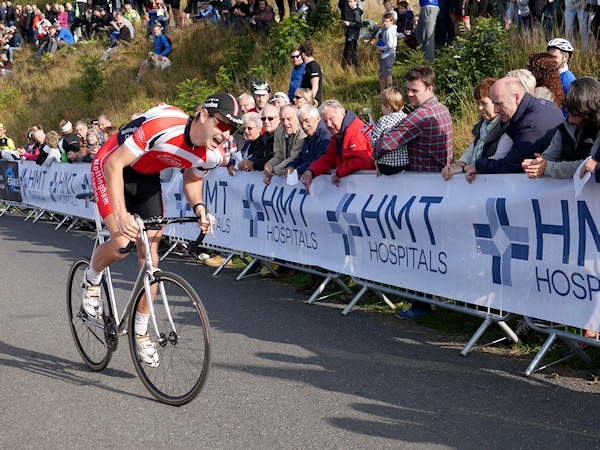 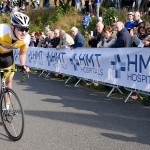 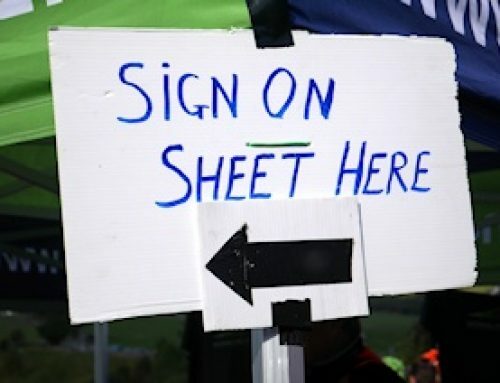 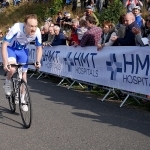 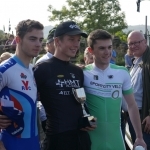 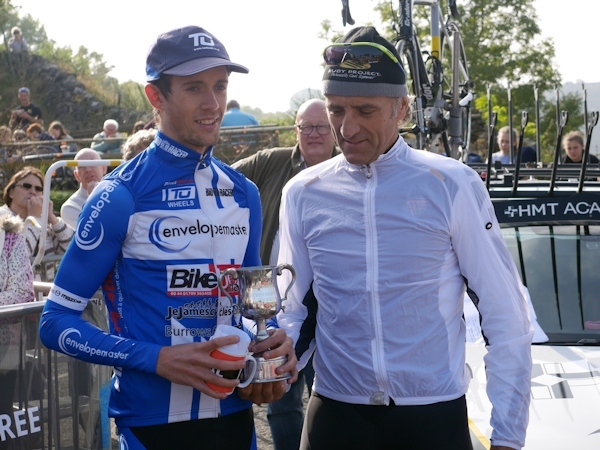 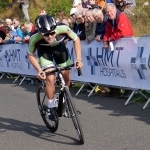 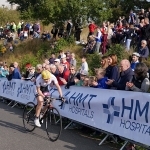 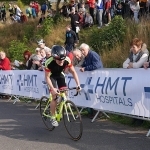 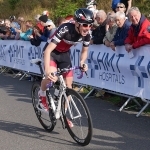 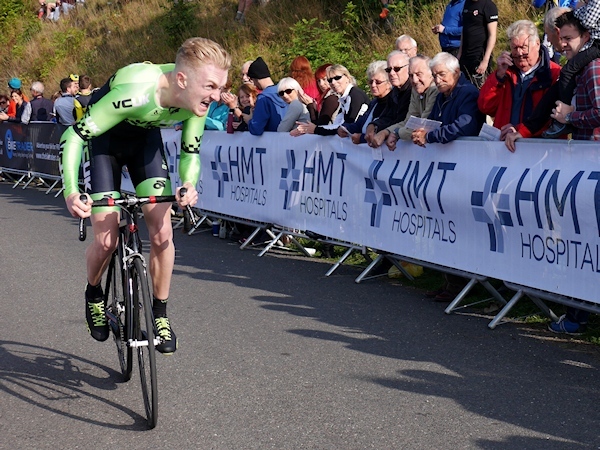 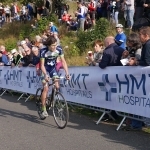 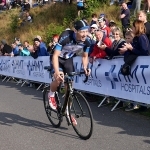 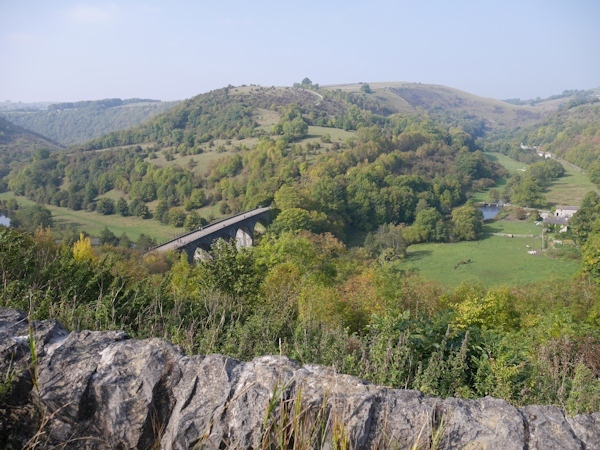 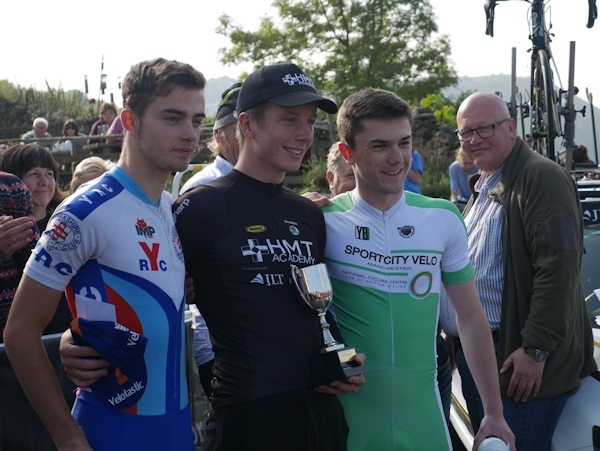 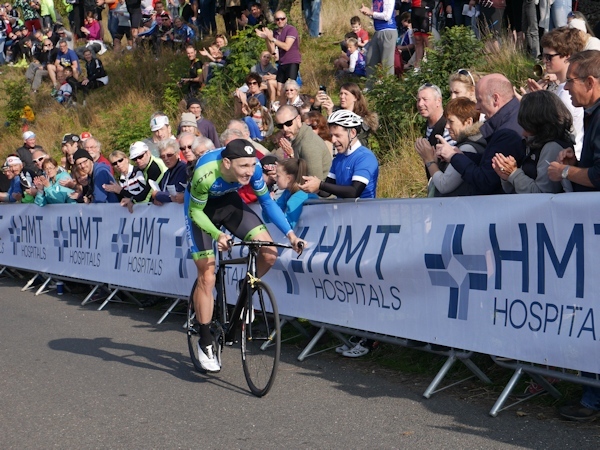 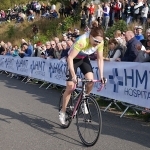 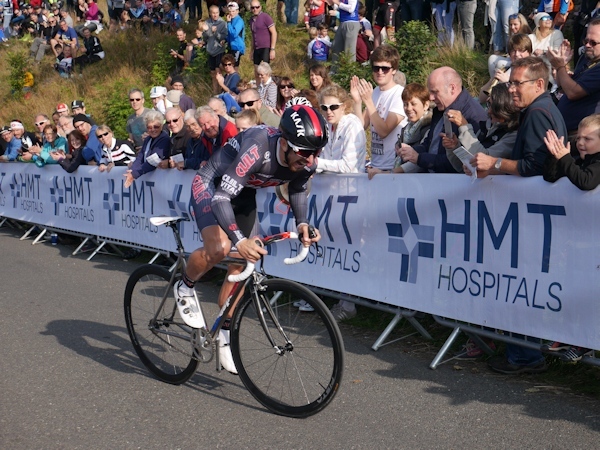 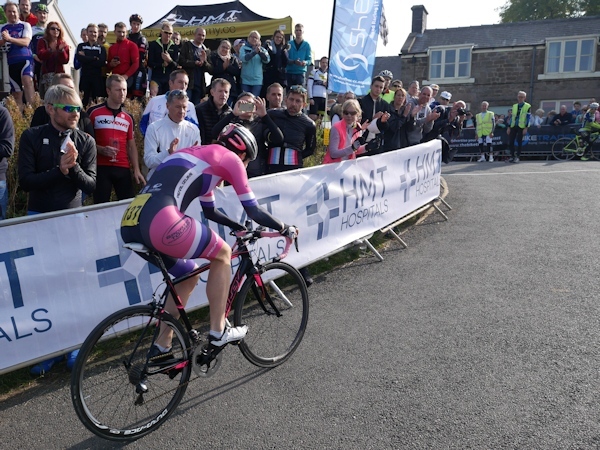 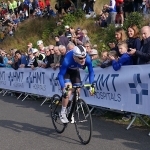 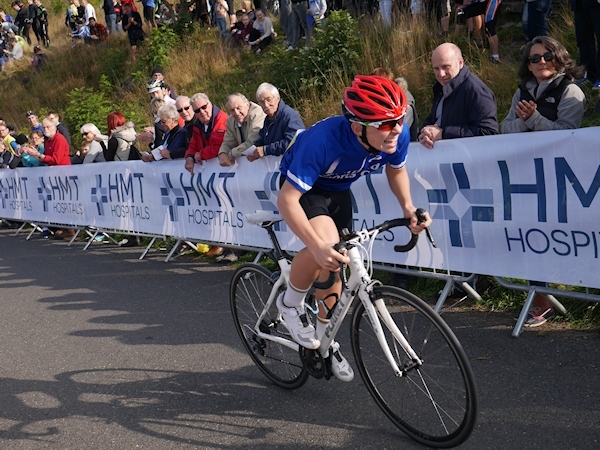 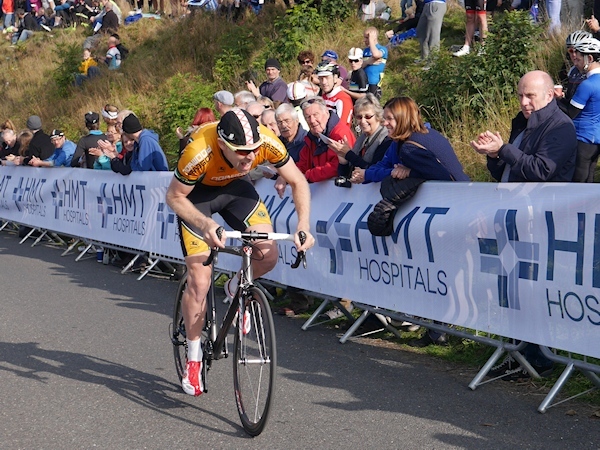 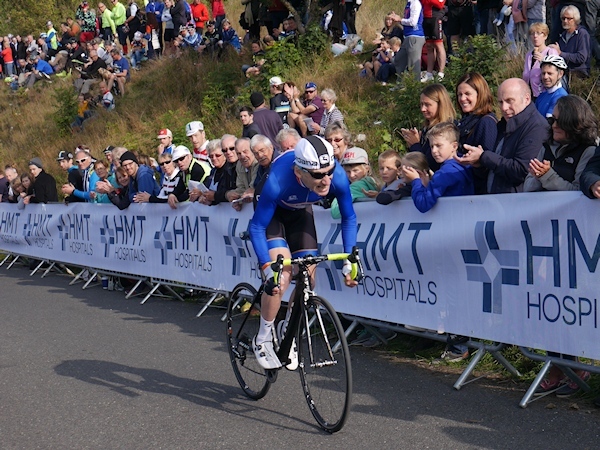 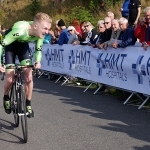 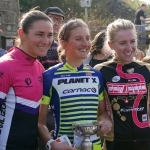 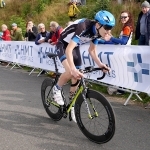 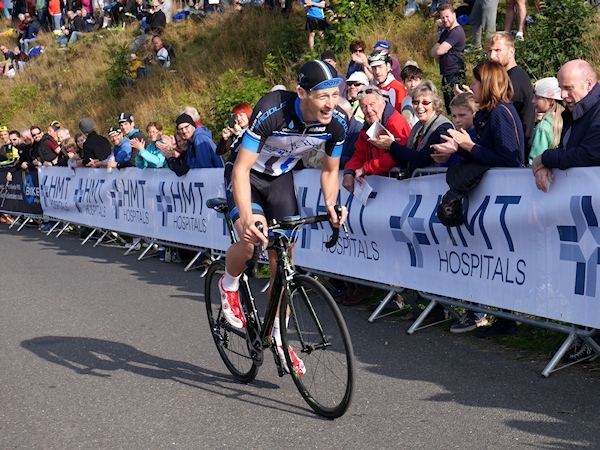 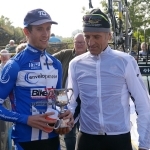 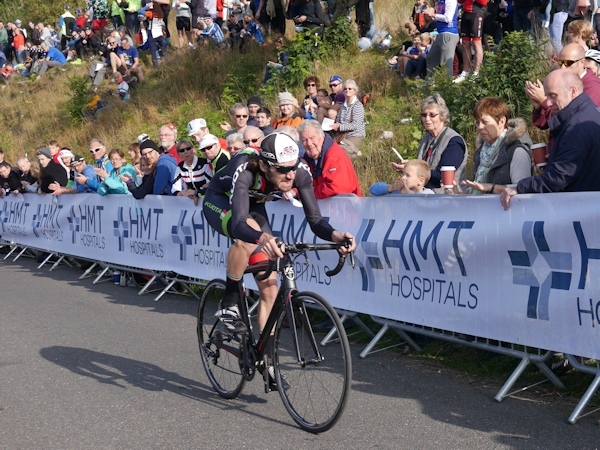 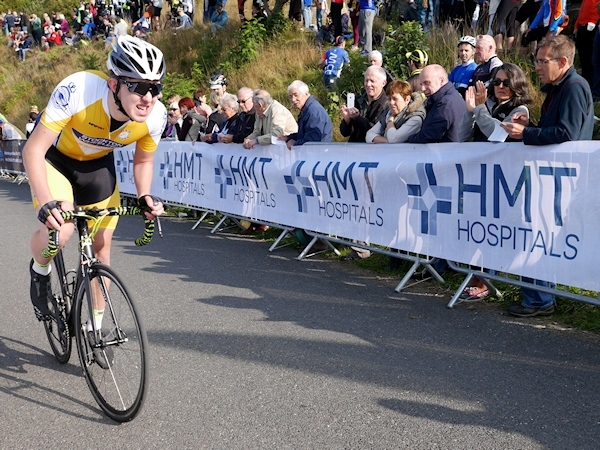 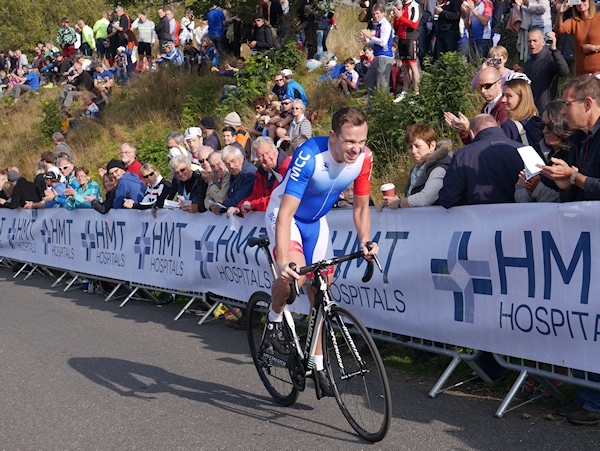 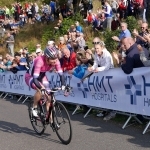 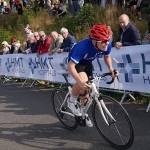 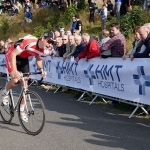 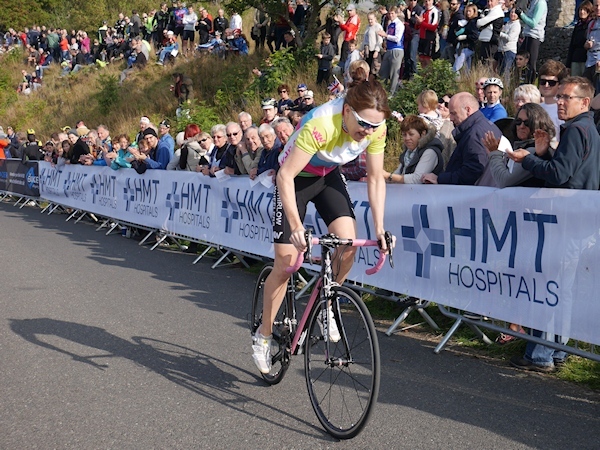 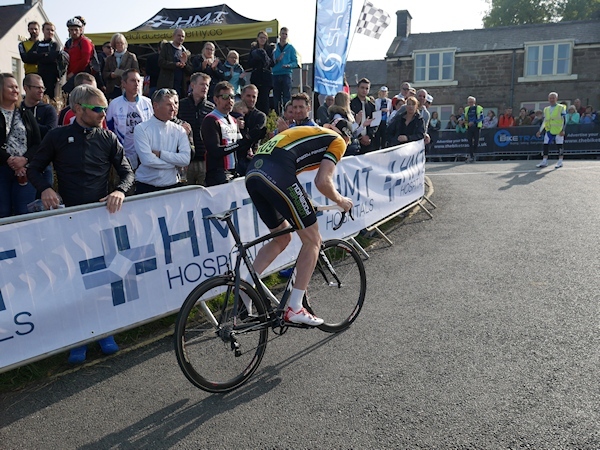 For a full list of results, including the Junior and Veterans times see the Monsal Hill Climb website by clicking here.